Adam J. Rozen joined Sams, Larkin, Huff & Balli, LLP in 2014 and is currently an associate attorney handling a variety of litigation and transactional aspects for the Firm. Adam’s practice focuses on personal injury, real estate, land use, probate and estate planning and general litigation. Adam was born in Marietta, Georgia, and raised in the City attending Marietta High School. He received his undergraduate degree from the University of Alabama in 2007 and his J.D. from John Marshall Law School, Atlanta, in 2011. 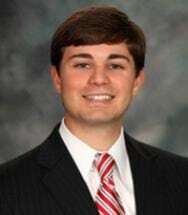 Adam has a unique amount of experience in the state and local courts of Metro Atlanta beginning as early as high school when he first interned for the Cobb County District Attorney's Office. He is fortunate to have tried numerous jury and judge trials in multiple different practice areas. Adam’s prior experience includes litigation of real estate and probate matters. His prior experience also consists of a variety of transactional matters focusing on residential real estate representing financial institutions, businesses and individuals. He is admitted to practice in the state and local courts as well as the Georgia Court of Appeals and the Georgia Supreme Court. Adam obtained his Georgia Real Estate Salesperson's License in 2008 and is a trained Georgia Mediator. Adam enjoys being involved in and serving his community as his father Roger J. Rozen has in his law practice in Marietta since 1979. Adam lives with his wife Brook and their son in Marietta.